We at Hip Haven are so appreciative of the many customers who shop at our small business. That said, we know that many of you are also committed to shopping local, so in anticipation of the upcoming Small Business Saturday, we would like to take a moment to list a number of our current brick and mortar resellers around the US and the world. Small Business Saturday (now in its seventh official year!) was a term coined by American Express to encourage buyers to celebrate local shops, business owners, and artisans in the holiday shopping frenzy that kicks off following Thanksgiving in the United States. We rely on our retailers worldwide for a significant portion of our business and recognize their importance in increasing the visibility and appreciation of our products. Today we want to pay special attention to the smaller stores, that stock inventory and make it possible for customers to see our products in person and enjoy the shoppers’ delight that comes with taking an item home right then and there! Have a look over our list to see if your community has a Hip Haven retailer, and please be sure to visit them on Small Business Saturday to take advantage of their upcoming promotions. 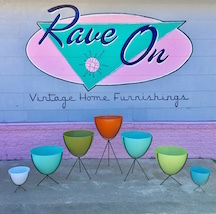 What They're All About: This store carries midcentury modern inspired furniture, art and accessories. Upcoming Promotions: Just Modern is offering 10% off on books, cards and other items. What They’re All About: This vintage store sells midcentury modern furniture, barware, books, kitchenware, linens, records, electronics, lamps, games, clothing and decor. What They’re All About: This modern and boho chic home furnishing store sells furniture, lighting, midcentury collectibles, rugs and local art. What They’re All About: This shop sells vintage, midcentury modern furniture, and home decor and furnishings crafted by small batch artisans. Upcoming Promotions: They're offering 15% off all Hip Haven products! 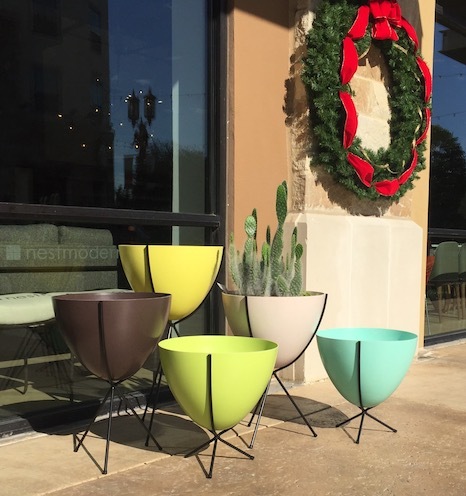 What They’re All About: This design boutique sells modern furniture and home decor. What They're All About: Need Supply Co. is a Men's, Women's and Lifestyle boutique. Upcoming Promotions: They'll be offering sales for both Black Friday and Cyber Monday. What They’re All About: This lifestyle store carries ethically sourced, quality goods from artisans across North America. Upcoming Promotions: Grand opening this month! What They’re All About: This Japanese shop is known for their selection of interior products, such as lighting and planters. What They’re All About: This home furnishing and decoration shop specializes in cowhides, cushions and our planters!